2, T Put a mire counter on target land. That land is a Swamp as long as it has a mire counter on it. Play this ability only during your upkeep. 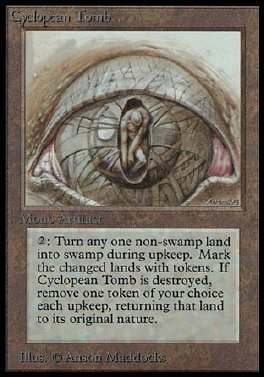 When Cyclopean Tomb leaves play, at the beginning of each of your upkeeps until the end of the game, remove one of those mire counters.